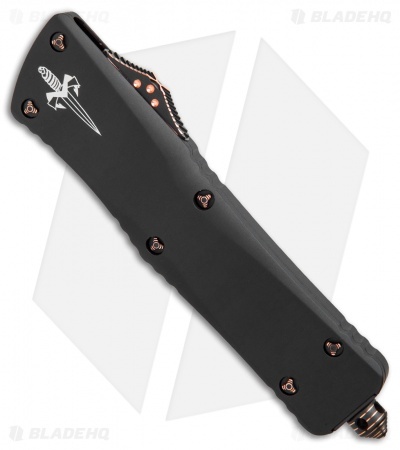 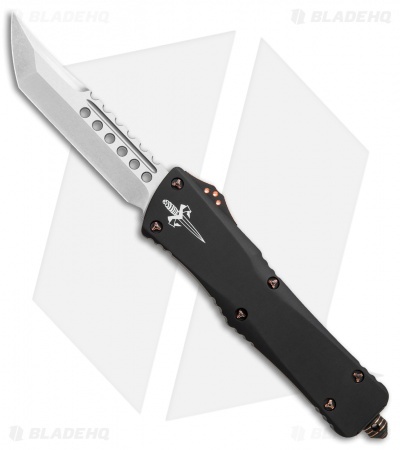 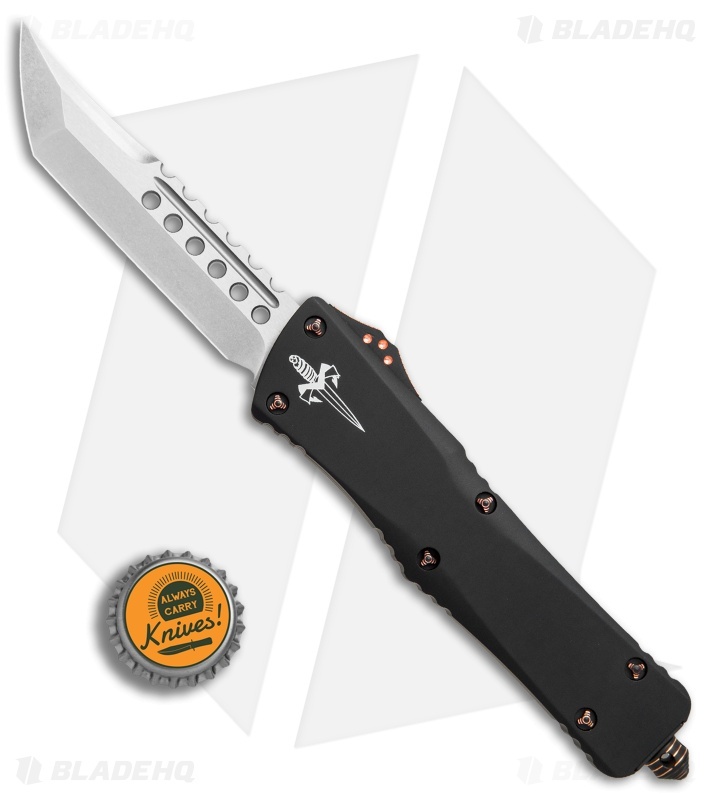 This Marfione Custom Combat Troodon automatic knife features a Hellhound Tanto blade made from M390 steel with a two-tone stonewash finish. 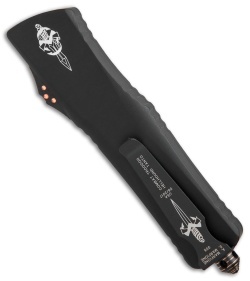 It has a black anodized 6061-T6 aluminum handle with a bronze ringed glass breaker, thumb slide, and hardware. The model, date, and Marfione Dagger are found on the pocket clip. Includes a certificate of authenticity.